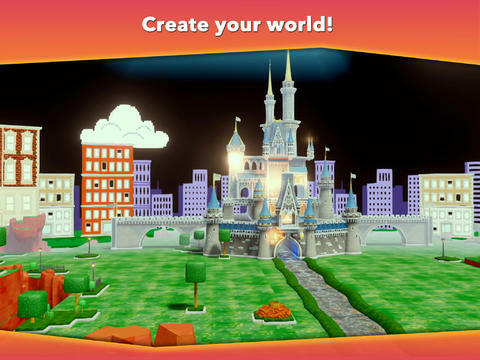 Disney Launches Sandbox Creation Game 'Disney Infinity: Toy Box' for iPad! Disney has launched Disney Infinity: Toy Box for the iPad, a sandbox world creation game that acts as a companion to the recently released Disney Infinity title on gaming consoles, with content on both games enabled for platform transferring. The app includes over fifty free items for world creation, as well as multi-touch optimized controls and special toys that change various attributes in created worlds. Captain Jack Sparrow can be in a sports car racing Dash, Sulley climbing mountains to find Cinderella’s Castle – create anything your imagination dreams of… Sync to your console game for complete cross-platform play, and unlock even more props, characters and decorations!